Hello and Happy Wednesday Crafty Friends! Today is day 7 of my Countdown 2 Christmas Series. I am using the adorable MFT Merry Everything Stamp set. I wanted to use regal colors with a soft background and to add a bit of sparkle with the snowflakes. 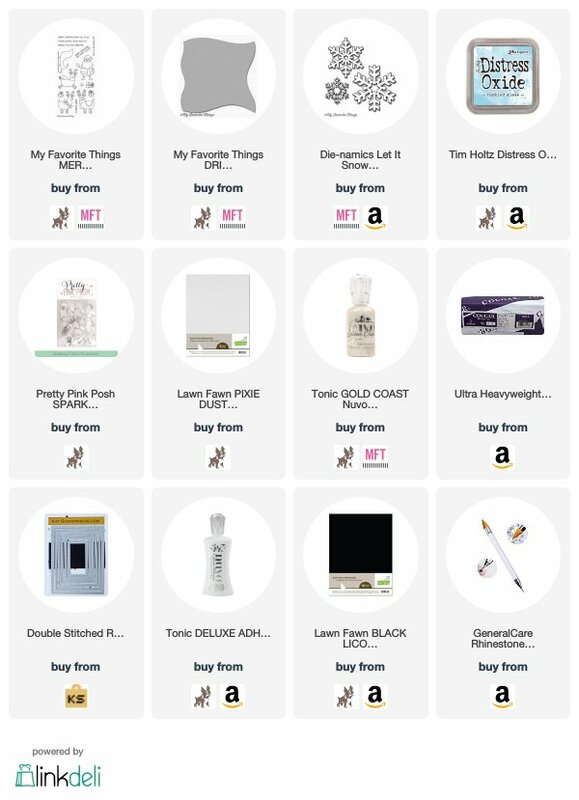 Next > Countdown 2 Christmas – Day 8 – Plus Scrapbook.com Cyber Week Deals! Every day I look forward to seeing your videos! I love how you build a card, how awesome you are with markers and even your fussy cutting is impressive! Thanks for sharing and bringing joy to my life. I try to take that which I have learned from you and add it to my work. Thanks again! I do love those little fat deers…. so stinkin cute. Great card. I love all your work.